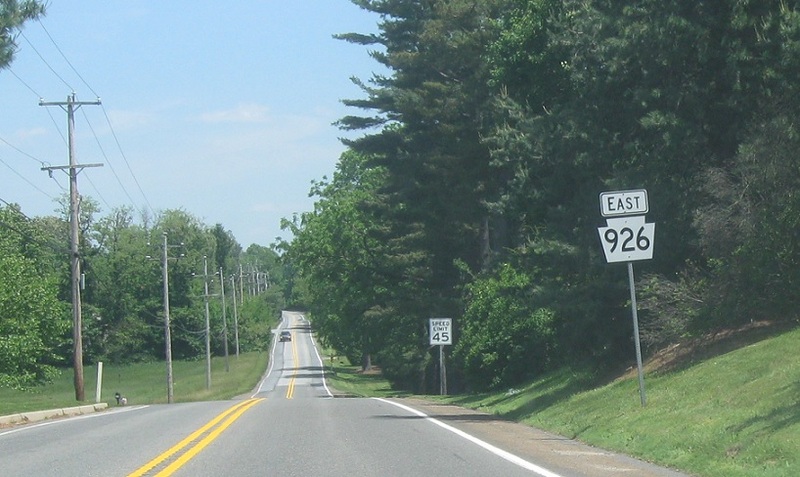 Reassurance shield after the 82 junction. 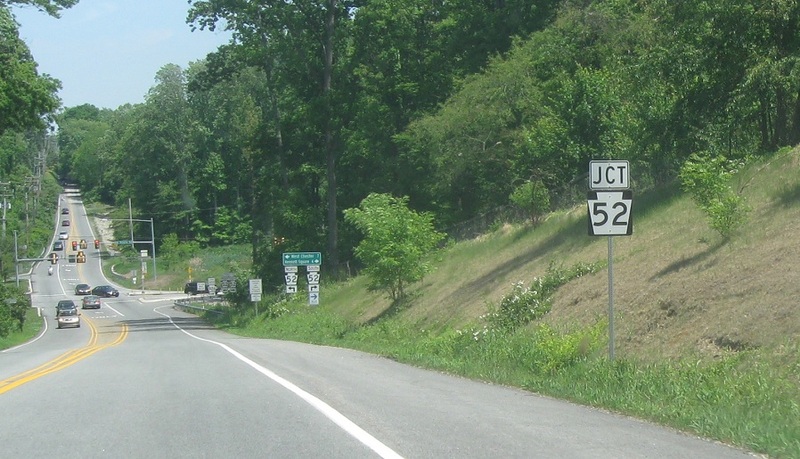 Shortly thereafter, we’ll approach PA 52. 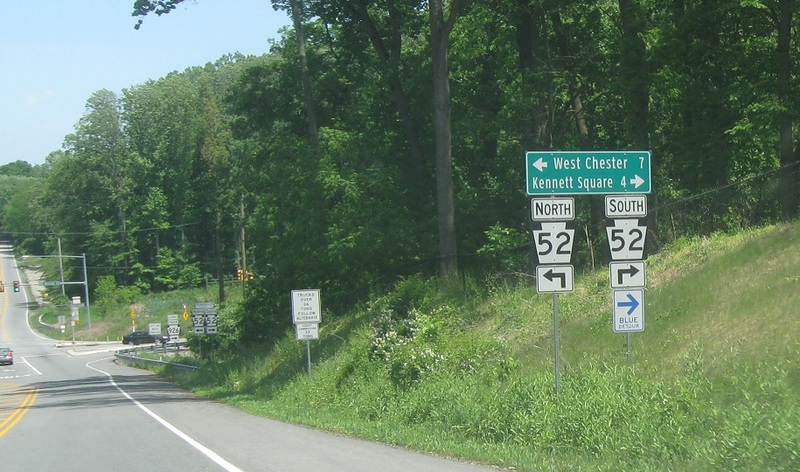 Follow 52 south to Kennett Square and 52 north to West Chester. 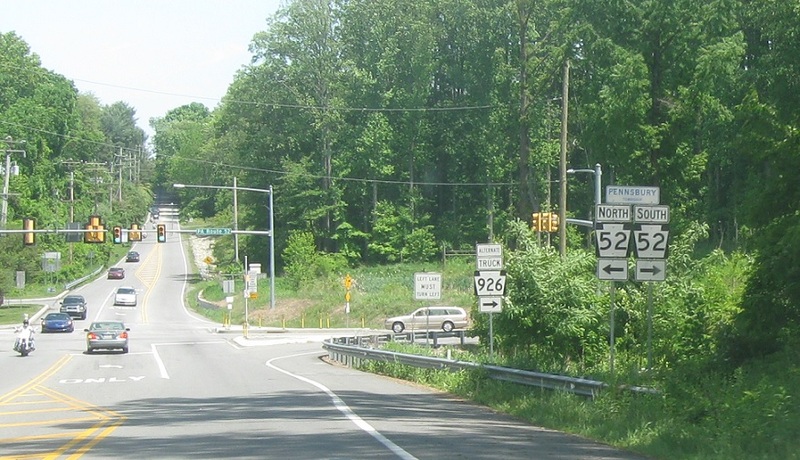 Turn right for 52 south and left for 52 north. 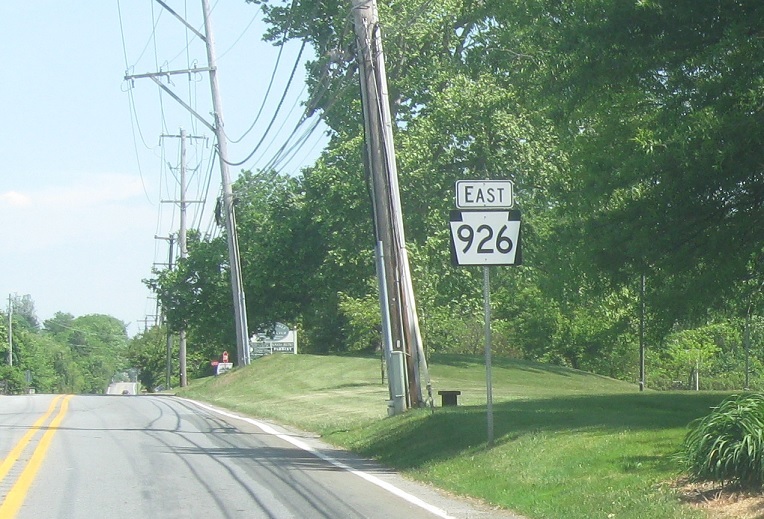 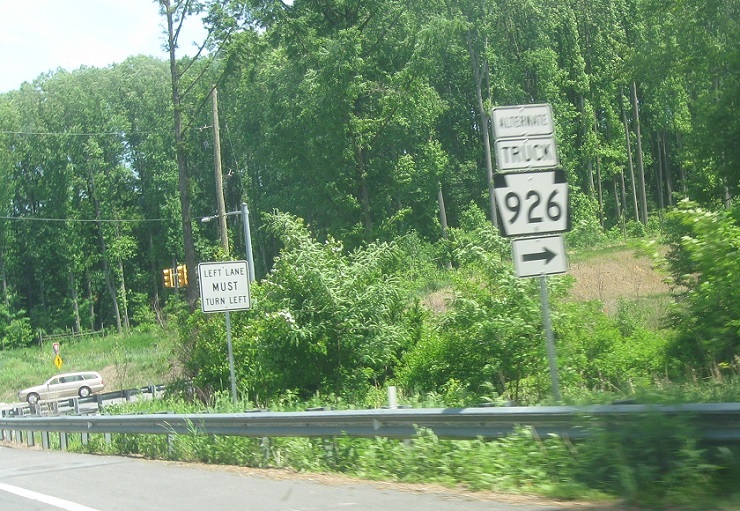 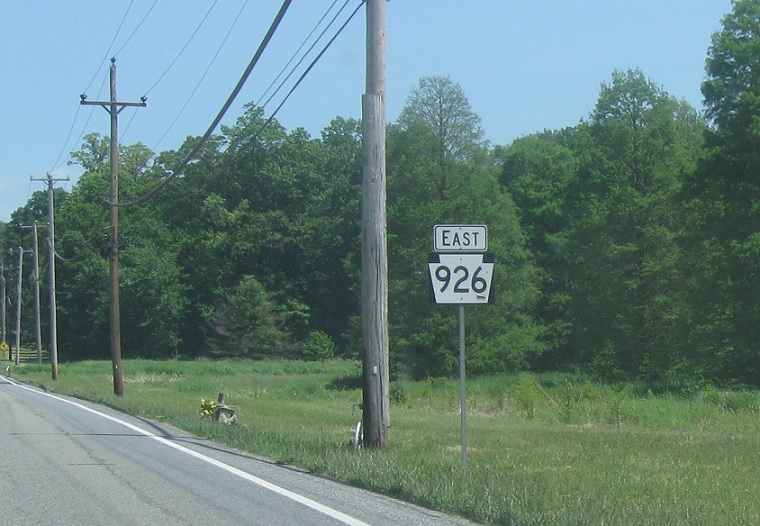 An unofficial truck route also heads down to US 1 for PA 926.